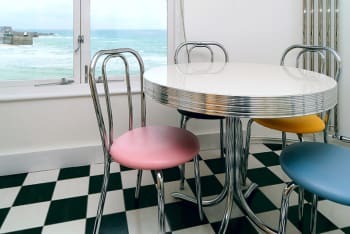 The Lighthouse is an architect designed four-storey property sat on crab rock over-looking St Ives Harbour with magnificent views around St Ives bay from all floors. 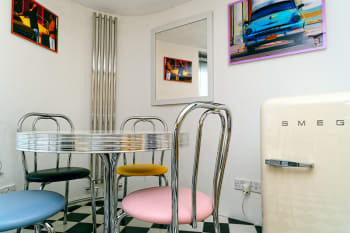 The property has two double bedrooms sleeping four people and sports a retro feel throughout the house. There are no rooms available at The Lighthouse for these dates. Parking: There is no on street parking available. Parking is available nearby at a charge of £7.00 per day. Mike and Carol could not have been more helpful. The property itself is fabulous and quirky with spectacular views. I have stayed in several places in the area with lovely outlooks but don't think this could be surpassed. The property provides everything you might need for your stay, and I was delighted with the very thoughtful welcome treats which were provided. I love the Porthminster and Porthmeor Beach Cafes. I also really like the Digey Food Room and the Beach Restaurant. There are several wonderful coastal walks you can do, and I always enjoy a visit to Truro and the wonderful cathedral there. Also love the bookshop on Fore Street in St Ives. Sit back, relax and enjoy the view. Lots of shops, pubs and restaurants within walking distance, handy for public transport - perfect location. 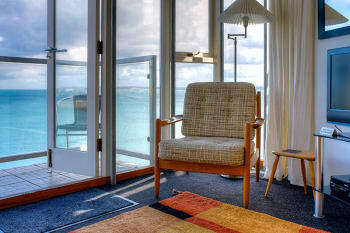 The Lighthouse is a great place to stay with the most amazing views. We love hearing the sound of the waves just outside. It is a really relaxing place to stay. Slippers are a must for the metal spiral staircase! Just a fabulous place to stay. Masses to do and see in St Ives but the best bit is to chill and relax in the Lighthouse while gazing at the most wonderful seascape. An amazing and unique holiday home! Beautifully furnished to high standard and spectacular views from every room. A lovely surprise pot of local goodies to welcome us, plus scones, cream and jam! Great location in a really quiet spot yet just a short stroll to the town. We can’t sing it’s praisess high enough and definitely want to return. The owners are great and very thoughtful. Thanks to them. Easiest way to access this quirky place, we found, was to park in the station car park and walk down the steps and it’s just there! Not a place for someone who struggles with steps! - but then st Ives is like that anyway! Fantastic location - great facilities. Lovely welcome pack of local produce. Highly recommended. No need to go far as everything is on hand - best views from all rooms. The Lighthouse is an amazing building, beautifully furnished, where everything you could possibly need has already been thought of. The views from every level are incredible. The sound of the sea is wonderful to listen to as you fall asleep. It’s such a quirky building - as long as you’re fit enough to climb the amazing spiral staircase! Highly recommend. All the galleries in St Ives, Porthmeor Beach Cafe - fabulous sunsets as well as food and the Seafood Cafe. An amazing apartment, kept in immaculate order. Well appointed, spotlessly clean and a view like no other. Location, Views Amazing! Great Decor everything needed supplied. Lovely welcome package. Great people to deal with Altogether Fab! Just Walk everywhere and Anywhere St Ives has so much to be explored. Fantastic place to stay, can't recommend enough. Booked already for next year. We loved staying here, the house was very comfortable and the views gorgeous! We slept so well and loved spotting the seal from the balcony. We hope to return! We particularly loved Blas Burgers and Porthmeor Beach Cafe. We were very glad we had rented the optional parking space. Restaurant I would recommend is the mermaid,blas,captains table which is located above the sloop pub,mex,everywhere really all good food.if you like to explore minack theatre, st Michaels mount, tintagel castle etc . The Lighthouse is a lovely quirky house and it is set out beautifully. 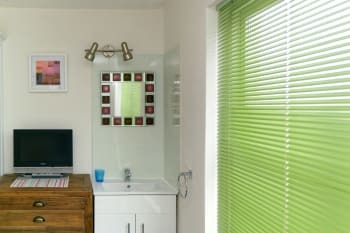 The views are amazing from all rooms and the house is situated in a perfect spot where you can reach the shops, beaches, and harbour without having to do hikes up hillside roads like most of the houses in St Ives. Carol & Mike made us very welcome and the welcome pack was a lovely gesture. We will be back again. We particularly loved The Blas for amazing burgers and The loft for steaks. Make sure you take a walk up to The Clodgy- far side of Porthmeor Beach, it’s a bit a trek but well worth it for amazing views, so peaceful and if you go late morning you can see birds of prey hunting on the cliffs, there’s no facilities up there so make sure you pack drinks or take a picnic. Beautiful place. Such a unique holiday house overlooking the sea/beach from each of the 4 rooms. Favourite eating places were: Porthmeor Beach Café, Porthgwidden Beach Café and The Mermaid in Fish St. A lovely walk from Godrevy past the lighthouse to the nature headland. Park by the National Trust café and enjoy good food also. A very interesting visit to Geevor Tin Mine, go into the mine with the guide, quite safe and not difficult, just bend if you are tall, a few single steps. Several steps in the Mill before getting there. About 40 mins mine tour in total. Plenty to see above ground also. An amazingly well appointed, well kept property with stunning location. Loved the location and the facilities. Hadn't realised it was on 4 floors and from the name should have perhaps clocked what the staircase would be like! This did distract me a little due to big feet, vertigo and an irrational fear of open steps. However on balance - the comfort, the fantastic views and the proximity of the sea made up for it. We loved the Beach Cafe and Porthminster Kitchen. We didn't have a bad meal in St Ives!! Visited Cornwall Gold which is well worth a visit. Our little girl loved panning for gold and painting a pot. I love all the jewellery. St Ives is a gorgeous place to stay. The beaches are great and always clean. Our little girl loved crabbing and caught lots. Also enjoyed our visit to Padstow. We found everything we wanted in a holiday at the Lighthouse it was like a home from home. Carol and Mike were the best hosts always answering any questions we might have and always helpful. They left an amazing welcome pack with lot's of treats which we really enjoyed. 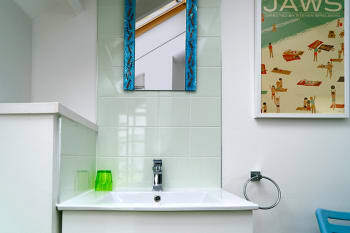 Carol and Mike have made the Lighthouse comfortable with everything you could need for a memorable holiday. Over the many years we have been going to St Ives we have eaten in many of the restaurants and have never been disappointed. We have been visiting St Ives for many years but our stay in The Lighthouse was by far the most relaxing holiday yet. The views of the beach and harbour aswell as the sound of the waves crashing on the rocks below us were amazing..we just sat for hours watching the world go by! The decor and facilities made the stay home from home and the welcome gifts were a very thoughtful touch. We really did not want to leave. The Lighthouse is just perfect and we will definitely stay again. The lighthouse is in the most perfect spot. A really quirky place. It is definitely one of the best places we have ever stayed in. We couldn't take ours eyes from the windows and the views. Perfect spot to watch the fireworks on New Year's Eve. Only thing we would say is don't forget your slippers because the open tread metal spiral staircase is impossible with bare feet. We took a slow cooker with us as well which was fabulous to come back to after a day out in the winter. Go at New Year's Eve. Fantastic atmosphere byt be prepared to dress up. Fabulous welcome pack on arrival. Lighthouse well equipped and beautifully kept in outstanding location, views from every floor. On a personal note we all felt the lighthouse had a lovely, warm feel to it. We saw seals from the Lighthouse everyday and if your lucky as we were dolphins swam into the bay on two occasions. You are spoilt for choice when it comes to places to eat, we enjoyed several restaurants especially if you like seafood. Coffee shops are good to sit and people watch and of course you must have a drink in the famous Sloop pub. Owners very helpful. 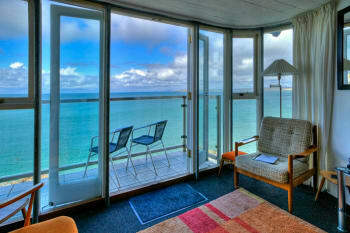 Lighthouse is a great location with the best views over the harbour. Tolcarne Inn at Newlyn and Alba in St Ives best for food. I’d recommend reading the info provided, lots of ideas for walks and restaurants. Carol also kindly provided extra, out of season advice, some places do close for winter. I have to say though, St Ives is beautiful at any time of the year! Enjoy a trip to the Lizard point and nearby Porthleven. Love to wait till the tide is out and walk around the beaches. Our son loved the high tide and to swim below the lighthouse. Dear Clair thank you so much for your kind review. The property is very well maintained and every year we visit we find that there is something new or something has been replaced. A first class holiday property. Welcome pack on arrival is very much appreciated. We hope to visit for many more years to come. St Ives is a magical place - just being there is like being in paradise. Eating establishments of every kind to choose from. Close to beautiful coastline for fantastic walks. 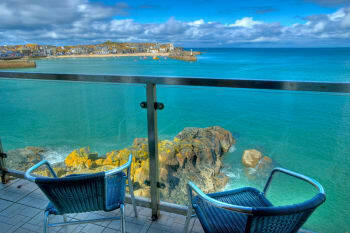 Wonderful property and location for visiting St Ives complete with private balcony and sea views from every room. Be careful of the steep steps down to the door of the property but worth it! Excellent choice of restaurants close by. This has to be the best location in St Ives ,it's hard to tear yourself away from the constantly changing harbour tides,sky and activity.Thenhouse is just perfect everything has been thought of and is of the highest quality.When you do emerge from this oh so stylish retreat St Ives does not disappoint, the charm and friendliness of the town is evident in each museum ,gallery shop or eaterie.The locals are justly very proud of their town and delight in sharing it with visitors. We cannot recommend the Lighthouse and St Ives highly enough.We had awonderful week,the weather was mixed but we embraced each day. The history and Art walks led by Dawn from the Guikdhall are a must do.Blas burgers ,Porthminster Kitchen and Porthmeor beach cafe are excellent . The lady at the guildhall market cafe provides a great boxed lunch for £5 homemade quiche and salads,the Cornish bake house was better than expected for a quick sandwich ,wrap or baguette but take care you eat out of seagull range.Walk to Carbis bay,Leach pottery and Barbara Hepworth all worth a visit but a bit underwhelmed by the Tate. Magical and elemental setting, power and sounds of the sea, quixotic light...all from every room. A loved and lovely house with delightful design and decor, with the warmest of welcome. Back Street Bistro around the corner, friendly family owners and superb cooking. Easy access to all. Coastal walking stroll to Hayle, train back. Challenging but stunning to Zennor in other direction. Short drive to St Michael Mount, fascinating setting and history. Newly Harbour worth visit to see reality of fisherman livelihood the cost of delicious meals you may be eating in convivial hostelries in Far West. The gorse, primroses and violets were in abundance, take time to look and ponder. Wonderful. Practical tip take slippers for spiral staircase ....protect your feet. We enjoyed the cafe on porthminster beach and a walk to Carbis Bay. 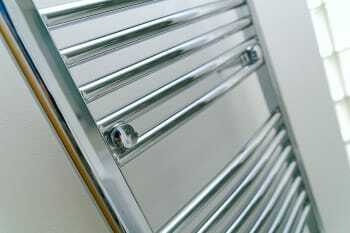 Lots of places closed earlier than they said on the website, so watch out for that in the winter months. We were caught out by this at Newlyn Art Gallery but discovered there is a wonderful new cinema at Newlyn with a cafe that sells great food and drink. Park behind the art gallery and it's just 100 yards away. They also beam in shows like musicals, gigs and theatre as well as films. Owners supportive and obliging. They clearly take great pride in the way they present their property. Best views in St Ives, location great for town. Porthminster Beach Cafe for lunch...book early for a window table to get great beach/sea view. Cornish Bakery in Fore St for scones and little custard tarts...you can't only have one...too good!! We always enjoy our stay at The Lighthouse and the welcome pack left by Carol and Mike is always much appreciated after a long journey. 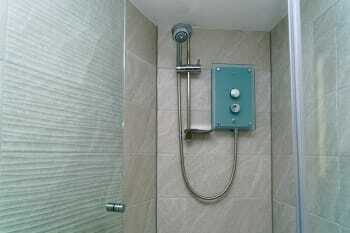 It is well equipped for self catering and having internet access is an added bonus. Really lovely place to stay. Also the book on birds is really helpful because we very often spot birds we have never seen before. Lots of lovely local restaurants and if you have a gluten free diet they will adapt to help. A bus runs to the Minack Theatre which is well worth a look and if you can book to see a performance. Lovely beaches. Plenty of art galleries to wonder around and see the local artists at work. An amazing location right above the sea, with fantastic view from every room and easy access down to the water. Depending on the tide this can be like diving into a pool from the rocks, or you have your own little beach. 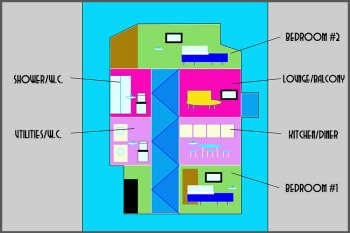 Inside it is very cosy, with a room on each of 4 floors. 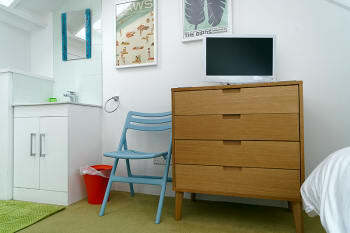 Furnishings are light and comfortable, just right for a seaside cottage. If you know St Ives you will know it is pretty busy in August, but in this house you would not know it, it only faces out to the sea and harbour. We could not really have been any happier or more relaxed than we were here. The lighthouse is a wonderful place! Great week for us! Wonderful stay and we would definitely like to come back. Porthminster Beach Restaurant is great, as is Porthmeor. Wonderful location, stylish accomodation. We can't fault The Lighthouse. The owners are so considerate, we felt warmly welcomed on arrival, more like guests returning than customers. Our visit was in January and initially I was disappointed that so many places were closed for the season. I'd expected some smaller establishments to be closed but not quite so many restaurants (my husband is vegan and the restaurants that would have been perfect for him all seemed to be closed) and the Tate! The disappointment didn't last long though, still some fabulous places to eat and visit. We had a lovely week. Great experience, my parents absolutely loved it. Thank you. 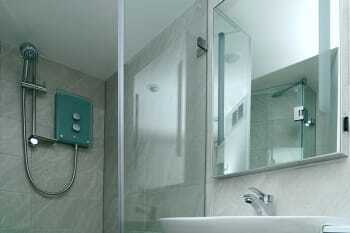 Comfortable, Clean, excellent location with all facilities very nearby. Lovely to have the box of goodies on arrival. Thankful to the owners for contacting us about the box we left behind and had to go back for! Bring slippers to cope with the staircase!! We found plenty do do even in January. Double check that Eden is open even though it said so on the internet! It was closed during the early part of our week. Great location, amazing views with fabulous welcome treats. New Years Eve is absolutely spectacular a must see!! Fancy dress street party with fireworks that can be seen from every room in the house. Great to have absent hosts available via text /email to answer on the spot queries! Fantastic property with the best views in St Ives, we love it! Mike & Carol are very well organised, from booking through to providing the welcome treats in the kitchen. Repeat bookings are testament to the fact that this is a great location for a break at all times of the year. Home from home comfort, with the addition of being located almost on the rocks and so having a fabulous outlook from every window. As the Lighthouse is almost in the centre of St Ives, there is no shortage of good places to eat within easy walking distance.